We just returned from a fantastic trip to Boston and although everyone told us there were a lot of things to do in Boston with kids, we had no idea just how family friendly the city is. 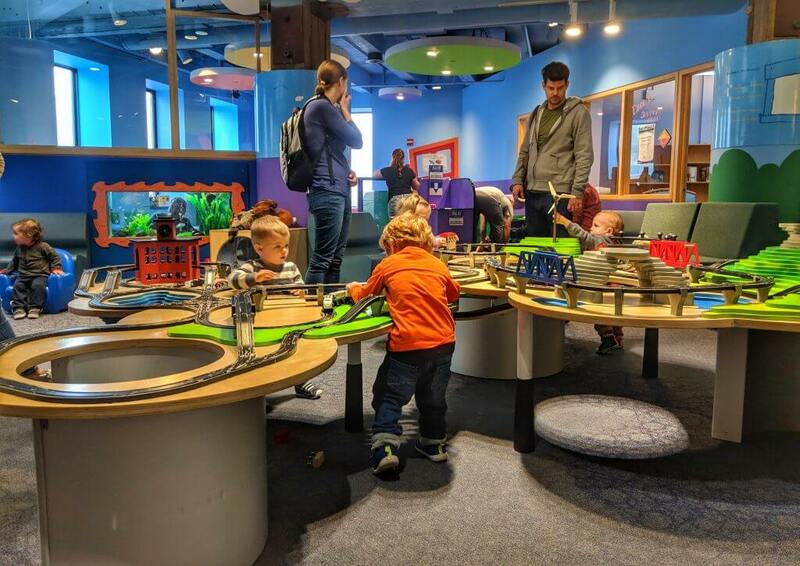 Not only are there some great indoor options for cold or wet days, but there are numerous parks and playgrounds, as well as very family friendly museums and fantastic places to eat. 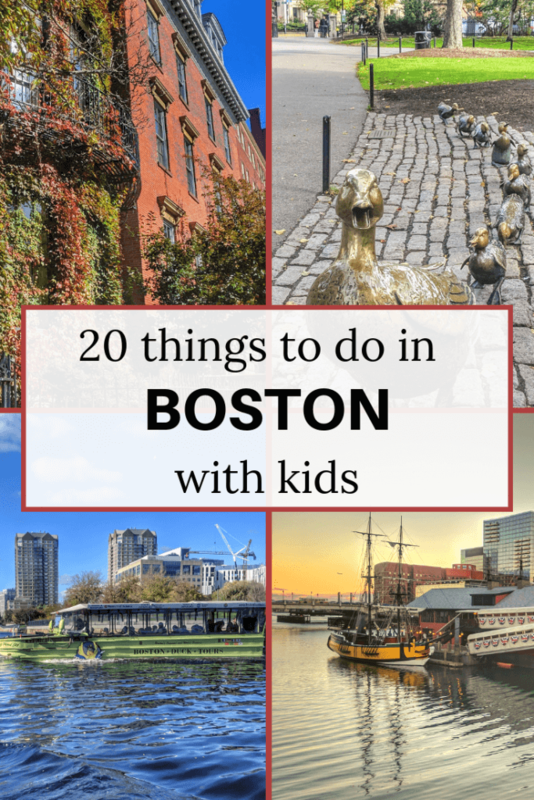 I’ve made a list of 20 fun things to do in Boston with kids with some of Boston’s most family friendly attractions, so take a look! Spanning over 130,000 square feet, the Boston Museum of Science will keep families occupied all day. There are numerous permanent and visiting exhibits to keep kids entertained covering everything from butterflies to the moon landing. There is also a Live Animal exhibit featuring 120 different animals, where visitors can watch the animals being cared for and learn more about them, and an interactive playground where kids can run off some energy. Many of the exhibits are interactive to keep kids interested (the Discovery Center in particular does a great job of being as hands on as possible), but adults will find plenty to look at too. On our last day in Boston, we had a super wet and windy day where being outdoors was pretty much impossible. 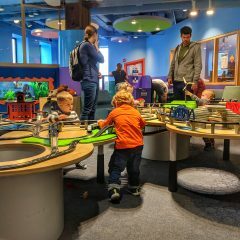 We asked around for the best place to take the kids and one of the most recommended places was the Boston Children’s Museum. We figured we’d go for an hour or two and then move on, but instead we ended up spending eight hours there! The museum covers three floors with exhibits for kids of all ages, and both of my boys found multiple exhibits that they loved. Harrison spent hours in the Construction Zone playing with dump trucks and diggers, as well as climbing on the New Balance Foundation Climb, a three story indoor climbing structure. Grayson spent a long time in the Bubble Room, up to his elbows in soapy water, as well as the Art Studio where he created pictures he could take home with him. Another favorite was the PlaySpace, an area reserved for children ages 3 and under and their caregivers. This was a great space for little ones to run around safely, with a soft play zone especially for crawlers and a huge train table that Grayson still talks about. This place was absolutely incredible and my number one pick for things to do in Boston with kids. Read more on the best museums for kids in the United States. The New England Aquarium is a large structure found on the waterfront housing thousands of different species of fish and marine animals. From California sea lions and African penguins to sea dragons and balloon fish, the aquarium has enough exhibits to keep families occupied for hours. Visit the Giant Ocean Tank, a four story exhibit housing a coral reef, green sea turtles and stingrays as well as hundreds of other Caribbean fish, and the Aquarium where over 80 penguins live. There is also a touch tank where little ones can reach in and touch different species of rays, and even sharks! This is another great place to visit on a rainy day, and a great place for both adults and kids. Boston Common is America’s oldest public park, dating back to 1634. The park is a great place to take kids when the weather is nice to let them run around in a safe area away from the busy city streets, with beautiful green spaces and plenty to do; the Boston Common Frog Pond is open during the summer months as a splash pad and wading pool, and then doubles as an ice skating rink during the winter months. When we visited in October, it was simply a reflecting pond where ducks were splashing around. Whether you’re a Red Sox fan or not, Fenway Park is still an amazing place to visit. While it would be a great place to see a game if you can score tickets, taking a tour of Fenway Park might be another good option if you’re a baseball fan, and tickets can be bought online up to 30 days in advance (there are a limited number of walk up tickets available too). If you have absolutely zero interest in baseball (that would be me) but still think it would be cool to visit, concerts are often offered at Fenway Park, with past artists including Billy Joel and Jimmy Buffet, and Luke Bryan. 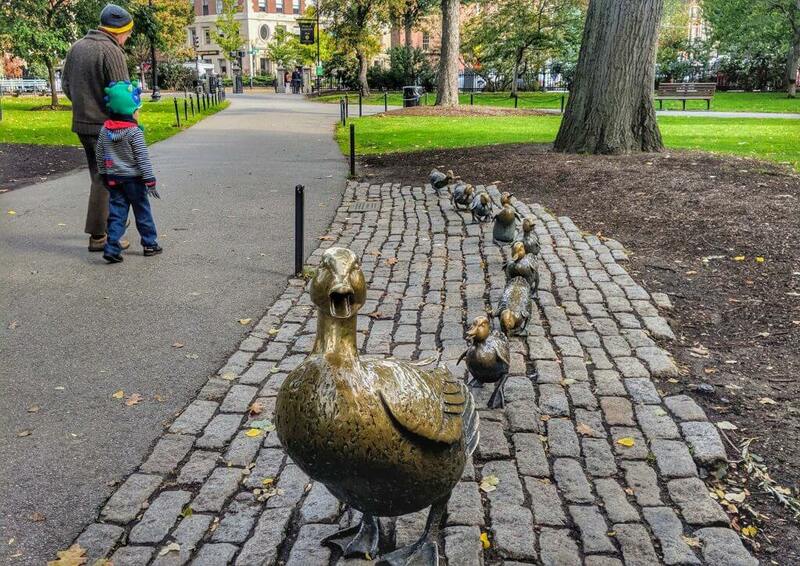 We are huge fans of the book Make Way for Ducklings by Robert McClure, and we couldn’t wait to see the statue of Mama Duck and her little ducklings in the Public Garden where they made their home. It took us a while to find the statue; it’s located in the corner of the park on Beacon Street and Charles Street, and since it’s not too big, we kept missing it. Once we found it though, Harrison was so excited to see all of the ducklings lined up in a row! The statue is really cute, and it’s a great way to see the book come to life a little. 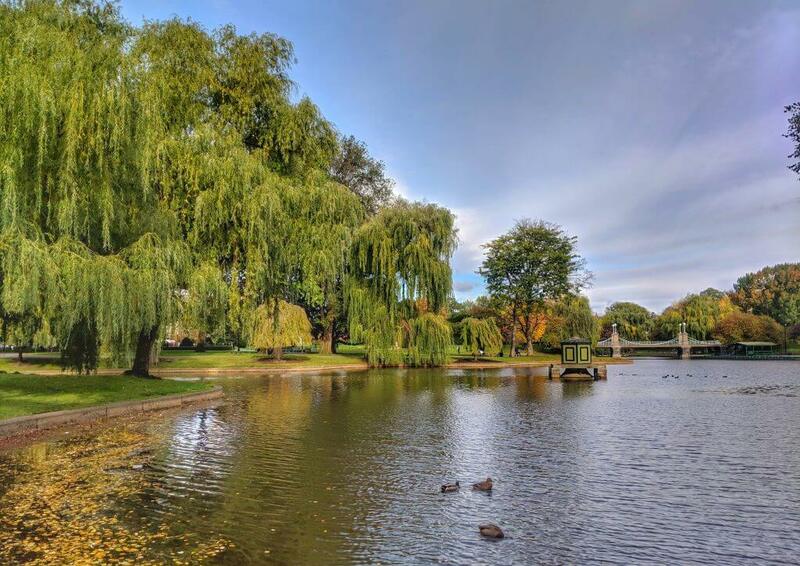 The Public Garden are a great place to stroll around on a nice day, they offer swan boat tours during the warmer months, and if you’re traveling with kids, this is a fun place for them to run around and burn off some energy. The Freedom Trail is one of the most iconic things to do when visiting Boston, and there are various ways to see the sites on the trail. Covering over two miles, the beginning of the trail is found at the Visitor’s Center in Boston Common, where you can either book a guided tour or walk the trail for yourself. A red line in the sidewalk shows you where to go, and it’s easy enough to follow, although a guided tour is a great way to learn as much as possible about the sites along the way. Some of these sites include the Old State House, the site of the Boston Massacre, Paul Revere’s House, and the Granary Burial Ground, final resting place of Paul Revere and Samuel Adams. We picked up the trail in various places to learn about sites we were interested in, but I’d love to go back and do a full guided tour once the kids are a little older. One of Boston’s oldest neighborhoods, Beacon Hill is a great place to wander around on a nice day. 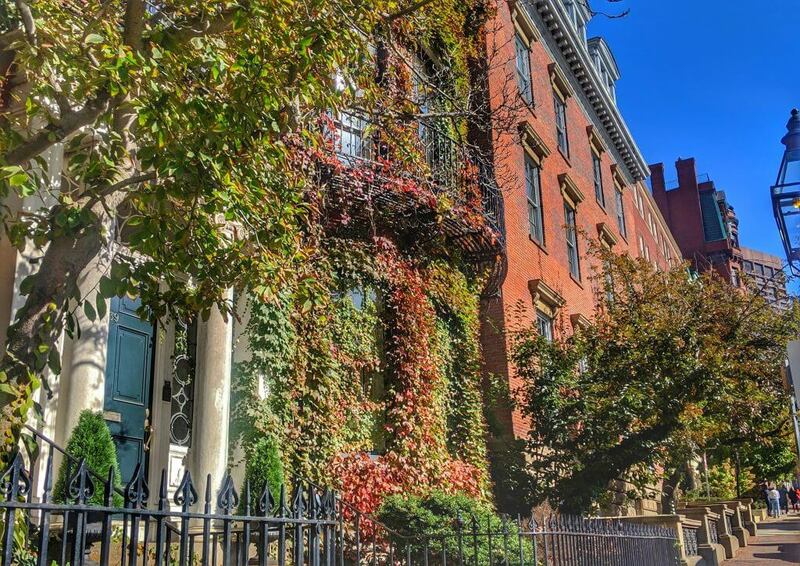 With brick and brownstone everywhere you look, this neighborhood is considered Boston’s most exclusive; former residents include the Alcott family (including daughter Louisa May Alcott, author of Little Women) and current residents include John Kerry and Teresa Heinz (yep, like the ketchup). The neighborhood is beautiful, especially when the sun is shining, and the fall colors looked so lovely when we were there. If your kids are anything like mine, then nothing makes them happier when visiting a new place than to find a great playground! The Esplanade on the Charles River houses three different playgrounds: the Esplanade, the Stoneman and the Charlesbank. Located near the Arthur Fiedler footbridge, the Esplanade playground is perfect for older kids, with a huge spiderweb play structure and even a zip line. The Stoneman playground is found between Fairfield and Massachusetts Avenues, and has separate areas for toddlers and older kids, meaning little ones can play in a safe space just for them. The Charlesbank playground is located at Charles Street and includes plenty of different swings and slides for kids of all ages, plus a spray deck for kids to splash about in during the summer months. These playgrounds are a great place to take little ones who might be getting tired of the museums and the history of Boston so they can run around for a while. Of all the things we did in Boston with kids, this is the thing I think Harrison learned the most from. 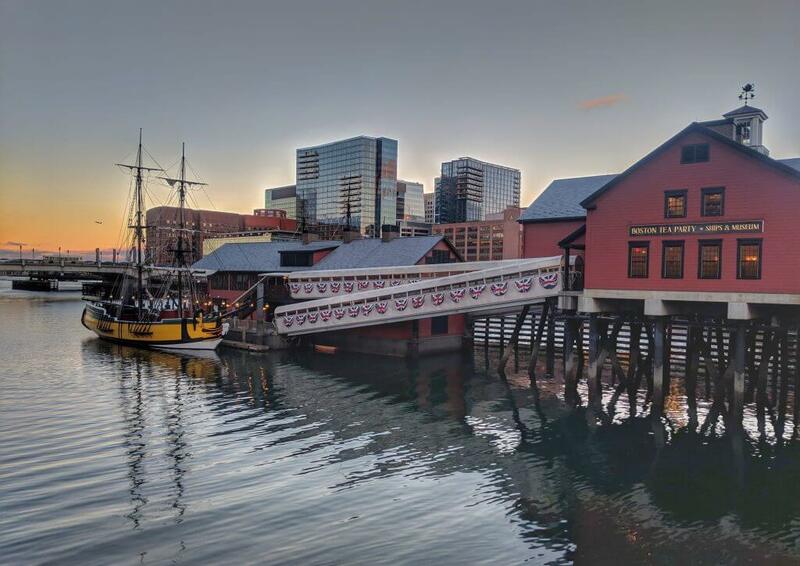 The Boston Tea Party Ships and Museum is an interactive experience with actors allowing you to become part of the story of the Boston Tea Party, and the events that followed leading up to the Revolutionary War. The tour of the museum begins in The Meeting House, where you are given a feather as a disguise and a card with a new identity as part of the experience. You then meet Samuel Adams and your 18th century host who talks a little about the history behind the Boston Tea Party and what had previously happened in Boston. You then move on to the ships, where you get to throw ‘tea’ overboard (my kids favorite part of the experience) and learn about what took place during the event. Finally you visit the museum where you watch a movie about the events that transpired after the tea was thrown overboard. The actors were phenomenal and did such a great job of getting everyone, especially the kids, involved in the experience (such a good job, in fact, that Harrison was genuinely concerned about us spending the whole night throwing tea overboard and that we wouldn’t get to dinner!) 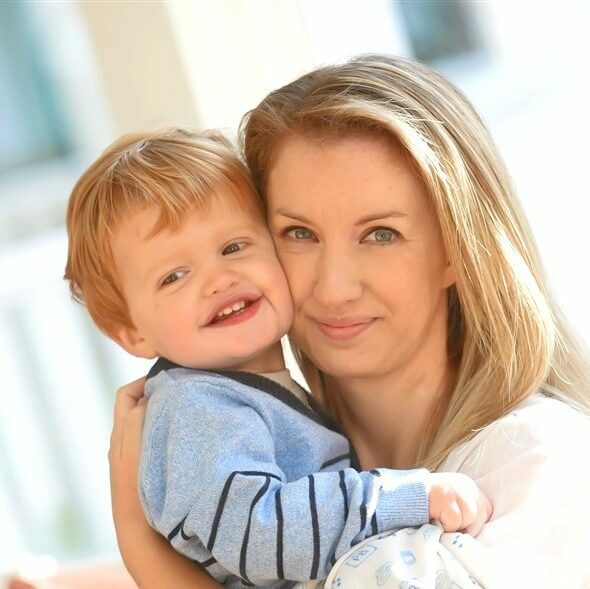 The experience was unforgettable, and one of the (very few) things that Harrison was able to remember to tell his teacher when he returned to school the following week. I love visiting public libraries in new cities and the Boston Public Library is a great place to take kids on a cold or wet day. The Children’s Library is a fun, colorful space where kids can pick out a book to read or join in with one of the weekly activities such as family story time. My kids are both huge bookworms and love finding places to read when we travel. If you’re visiting Boston between April and October, this is a great time for a whale watching trip. This is peak whale watching season in Massachusetts (although whales might be spotted as early as March or as late as November) and there are plenty of whale watching tours that depart from the harbor every day. One of the most recommended is the Boston Harbor Cruises, which can carry up to 400 guests at a time on a large catamaran with plenty of viewing space to do some whale spotting. 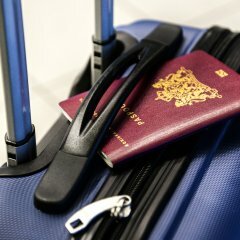 You can visit their website to buy tickets (a money saving tip: if you’re looking to visit the New England Aquarium too, you can buy a combo aquarium/whale watching trip ticket and save some money) and check out recent activity log notes to see whales that have been spotted recently. I’m not usually a big fan of bus tours when visiting a new city since we always prefer to explore on foot and get a feel for the place that way. 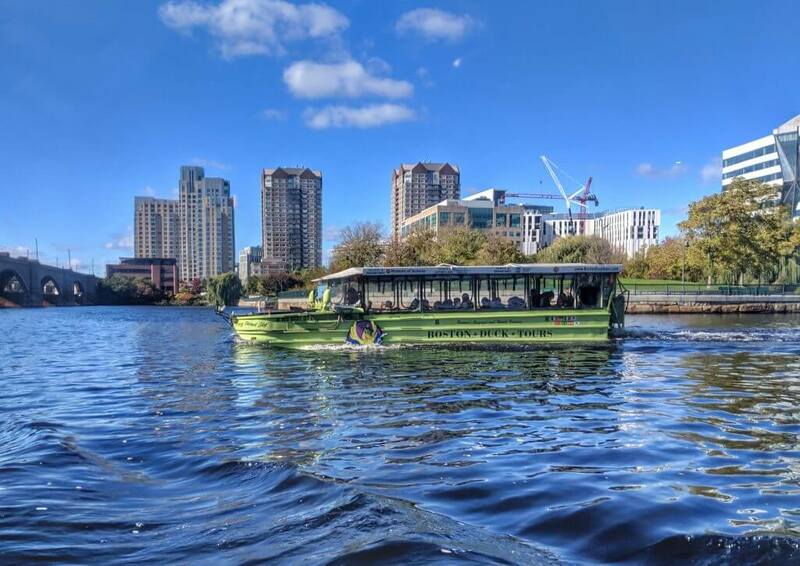 When researching Boston, however, numerous people suggested taking a Boston Duck Tour, not only as a great way to see the city, but as something the boys would love. I was a bit skeptical, but we ended up loving the tour for all of the reasons people said we would; it was a fantastic way to see the city both from the land and the water, and the boys loved it! Our narrator was fantastic and offered lots of local tips and suggestions for places to eat and free things to do, and kept everyone entertained on the 90 minute trip. The vehicle was lovely and warm, meaning both boys fell fast asleep for the land portion, but we woke them as we drove into the water and they were both so excited! It was a beautiful day and sailing on the Charles river was a great way to get an overview of Boston – people were even allowed to drive the boat! This is something I’d definitely recommend doing if you’re in Boston for the first time and need to get the lay of the land before exploring. If you have a little Lego fan in the family, the Legoland Discovery Center is a great place to visit. If you’ve ever visited another Legoland such as Legoland Florida, this is almost like a smaller, indoor version of those parks. You can find rides such as The Great Lego VR Experience and the interactive Kingdom Quest, as well as a huge indoor play area complete with a jungle gym, a Miniland USA, a Duplo Farm for younger visitors with toddler sized play structures and big soft Duplo bricks, and numerous places where kids can build to their hearts content. 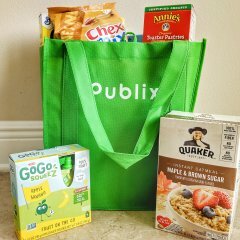 There’s even a coffee shop and a retail store. This is another great place for a cold or rainy day. If you have some extra time on your Boston trip, it’s worth taking a trip across the river to visit Cambridge. This is a really lovely city with great views of Boston and some fantastic places to eat and shop. We loved walking around the city and found a really great playground with a sandbox for the boys to play in. There was a great Curious George shop that we stopped into that sold not only pretty much every form of Curious George merchandise you can think of, but a wide collection of toys and books; we picked up a couple of books for the kids for the plane ride home. 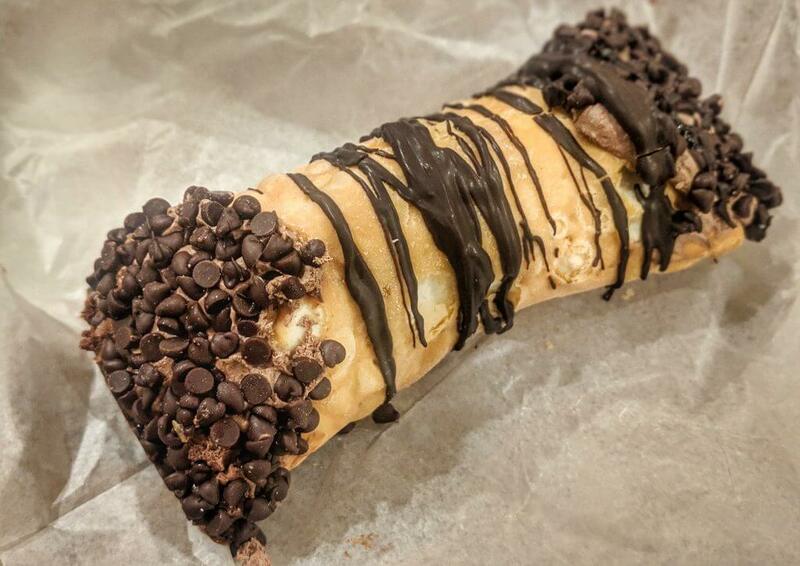 There was also a Mike’s Pastry which, anyone who has been to Boston will tell you, makes the absolute best cannolis in the city! The main Mike’s location is in Boston itself and only takes cash, but this location took credit cards and I thought the prices were great; we picked up a variety of cannolis including ones filled with chocolate mousse and almond cream. We only spent the morning in Cambridge but could have easily stayed longer. While you’re visiting Cambridge, its worth stopping by the Harvard Museum of Natural History. Though not as large as big city natural history museums, this is still a great place to visit with kids and has some fantastic exhibits. including those from Africa and the New England Forests, and of course a dinosaur section. There are even kids classes if you know you’ll be visiting in advance, and the museum offers story time for the little ones as well. The other obvious thing to do in Cambridge is to visit Harvard University and take a tour of the grounds. 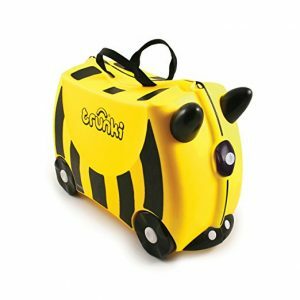 While this isn’t something I’d necessarily recommend for those with very young children (unless you’re hoping to inspire them very early on!) older kids and especially teens will probably find this really interesting. 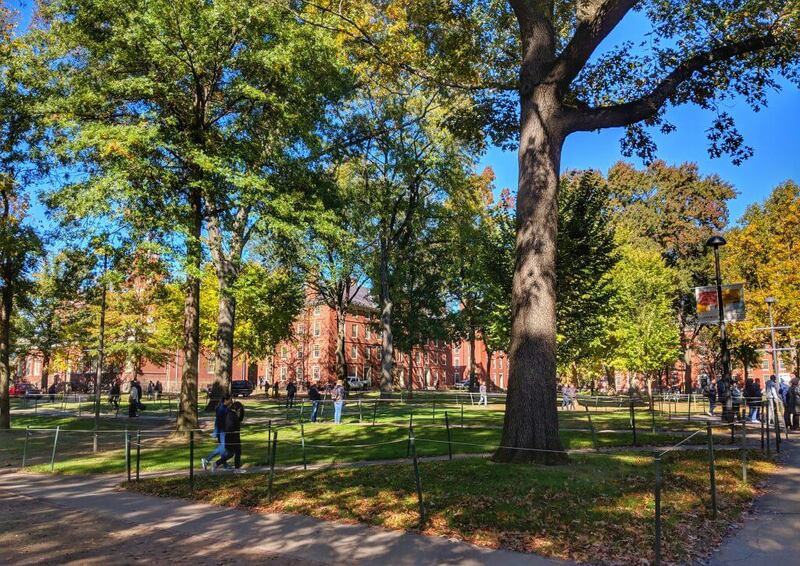 The tour guides are composed of Harvard students who not only have a great knowledge of the history of the university, but can answer almost any question about what it’s like to attend Harvard. On our tour there were a few teenagers who had questions about the admissions process and our guide was happy to not only answer all of their questions, but took time at the end of the tour to seek them out and see if they needed any more information. Our tour took a little over an hour and we learned a lot about the university in that time. If you have a child thinking of attending one day, the tour would be a great start. The Rose Kennedy Greenway is a linear park spanning 1.5 miles through the heart of Boston’s downtown. There are numerous places to join the Greenway and you can find large green spaces for kids to play, fountains, and even a carousel, as well as food trucks and public bathrooms. If the weather is nice, this is a great place for kids to play, and walking the length of the Greenway is a great way to see Boston. 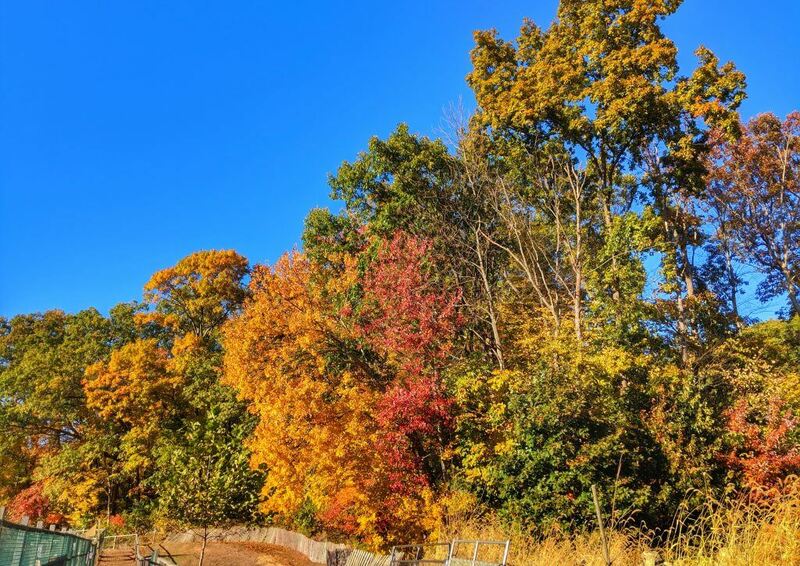 Although we could have spent more time in Boston and still not covered everything there is to do, we opted to take a day to drive up to Northern Massachusetts to see the beautiful fall foliage. We found the drive in and out of the city relatively easy (much easier than trying to drive in and out of New York City, if anyone has ever given that a try) and driving through the countryside was a great way to see the area. 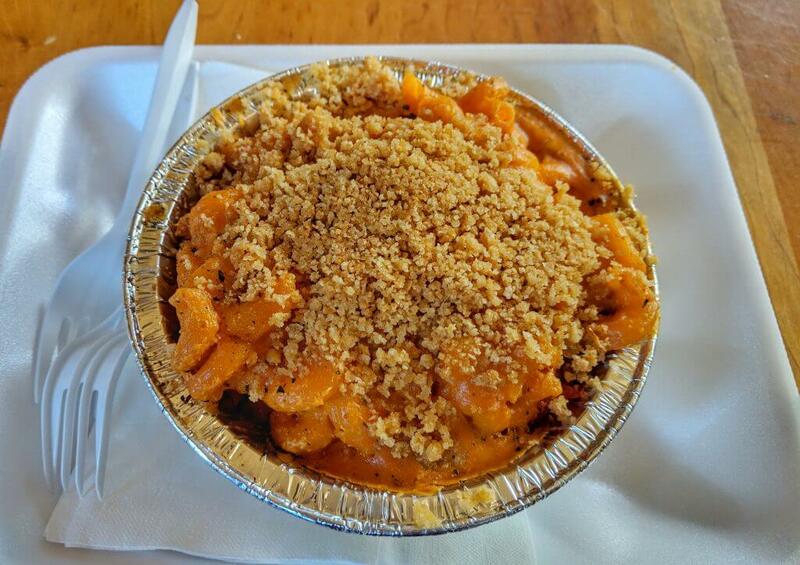 I’d recommend this most if you’re visiting during fall to see the gorgeous fall colors, and we came across some great little farms with pumpkin patches and farm stands with hot apple cider and fresh donuts. Read more about our mini New England fall road trip here. Have you been to Boston? What are your favorite things to do in Boston with kids? Let me know in the comments! My husband is from boston, and although we have done most of these, I didnt realize there was an aquarium up there! We love the north end – thats like the little italy! Great city for wandering around, and yes so much to do! Yes! The aquarium is fantastic, and it’s right on the water in such a beautiful location. The North End had the most amazing Italian restaurants, I wish we’d been able to try more of them! Boston looks incredible! I’ve always wanted to visit! Beacon Hill looks especially fun, I love wandering around and taking in the architecture. The architecture there was beautiful; there is a street there called Acorn Street which is apparently the most photographed place in all of Boston because it’s so pretty! I remember going to that Children’s Museum as a kid! Great to see it’s still going strong! Looks like a great place to go! Oh it’s fantastic! 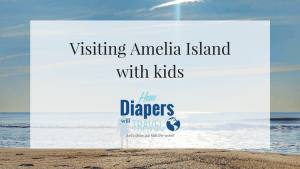 There was SO much to do, I couldn’t believe the kids were happy to spend eight hours there! It was such a great place! I wish I lived nearer. 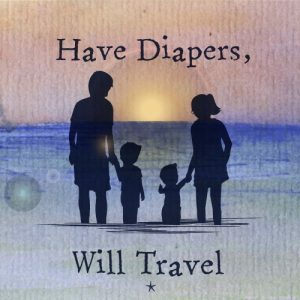 I would love to take my grand children to some of the places you describe. I honestly wish we lived a bit closer too, we’re about a three hour plane ride away, and I’d love to go back more often! It was a really lovely city, so much to do and everyone was so friendly. I’d highly recommend it! I would love to visit America and Boston looks like it has a lot to offer a family. Some lovely days out! Love the ideas here. I would love to visit Boston with the kids one day. 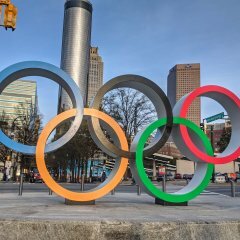 It’s a great city for families, so much to do! The Children’s Museum is absolutely amazing, I still can’t believe we spent an entire day there! I’d heard it was a very family friendly city, but had no idea just how true that was! Wow looks like a great city to explore with kids! It was a really great place for kids, they can’t wait to go back! Wow what an amazing trip you had! there looks to be so much to do! There was so much to do in Boston, we barely scratched the surface! Science museums are so good for a family friendly day out, there’s usually something for everyone to enjoy!